Stability ball push outs are an intermediate core exercise that strengthens the lower back and abs. This exercise also improves balance and coordination. 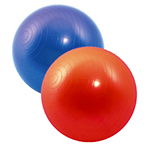 A stability or exercise ball is a ball constructed of soft elastic and filled with air until firm.Most stability balls range from a diameter of approximately 35 to 85 centimeters (14 to 34 inches). 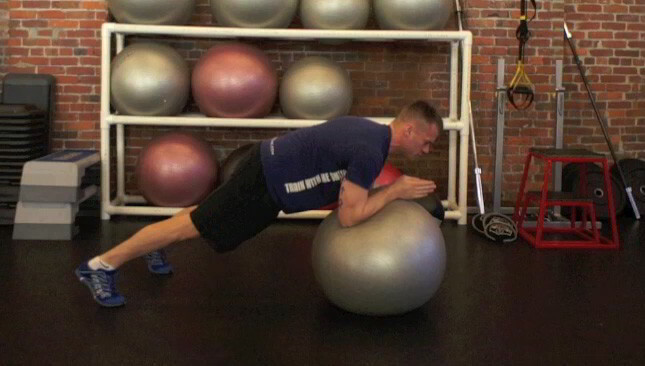 Start in a plank position on the stability ball with your back straight and your core engaged. Push outwards with your arms until you feel your lower back start to engage. Pull the ball back into the starting position and repeat. Learn 20 exercises that use the stability ball.